Last week, we had some crazy temperatures… very few people are actually accustomed to highs in the “17s”. (This week we have had equally crazy weather, ranging from 30-50, but when it was a balmy 14, I was constantly craving comfort food. I had a fancy mac & cheese at Beecher’s Cheese and decided to try my hand at a new interpretation of the old classic, potato soup. I stumbled across the recipe and thought it was worth giving a try. 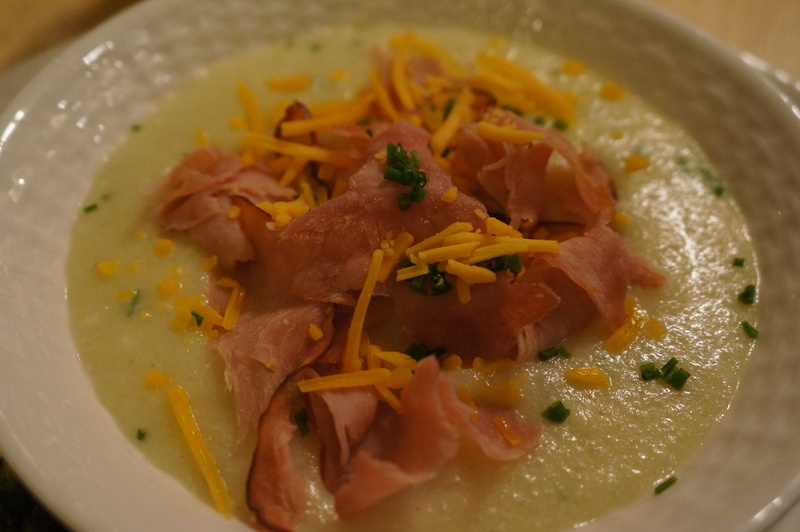 So we had loaded baked potato soup, with cauliflower, to make it “healthier”! Check out the recipe here, and the pictures below. 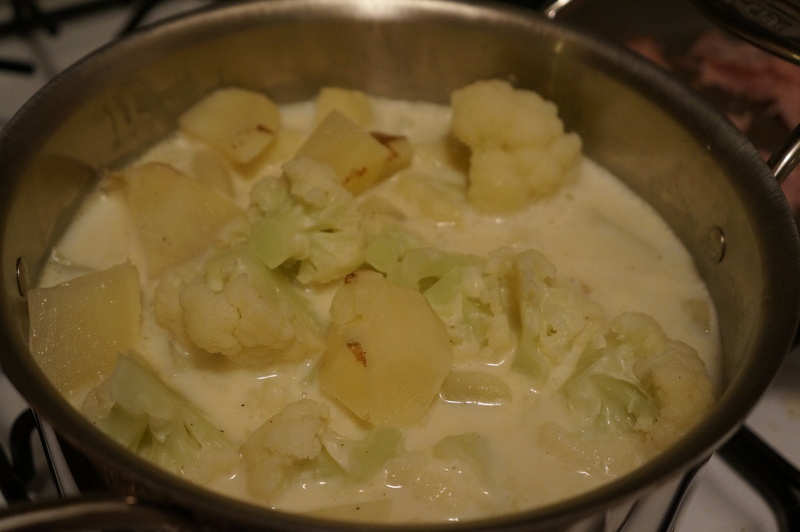 The “lightening up” comes from steaming cauliflower and then blending them in with the potatoes to maintain the creaminess of the soup (it’s pretty close! ), but have fewer carbs, calories, etc… or rather, allow you to use more cheddar cheese and feel fine about it. Top with bacon (we used ham because that all I had! ), chives and cheddar cheese and enjoy a cozy meal. Especially when it’s under 20 degrees outside. Next time I make it, I’ll save part of the potato (or add a third one) to add post-blending. I’m a bit of a texture person, so I would appreciate keeping some chunks of potato around to balance it out. But otherwise, I would recommend this and will definitely make it again!